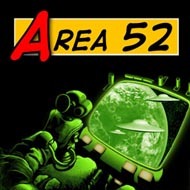 2012 - Junglevision releases the iOS & Mac versions of Area 52 on the Apple App Store.. 2012 - Junglevision ports the PC version of Iron Brigade on Steam. 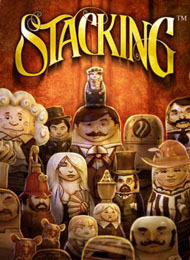 2012 - Junglevision ports the PC version of Stacking on Steam. 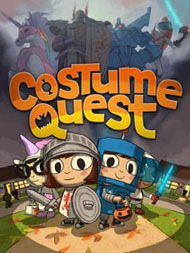 2011 - Junglevision ports the PC version of Costume Quest on Steam. 2011 - Junglevision releases the iPad/iPhone versions of Shamus Case II. 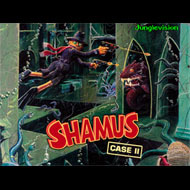 2011 - Junglevision releases the iPad/iPhone versions of Shamus. 2011 - Junglevision releases the iPad/iPhone versions of Shamus. 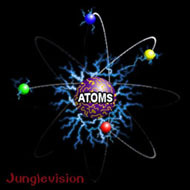 2010 - Junglevision releases the iPad/iPhone versions of Atoms! 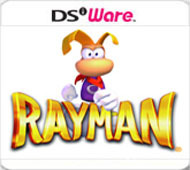 2009 - Junglevision ports the Nintendo DSiWare version of RAYMAN. 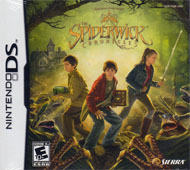 2007 - Junglevision programs the Nintendo DS version of The Spiderwick Chronicles. 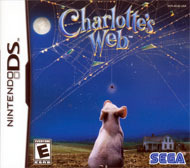 2006 - Junglevision programs the Nintendo DS and Nntendo GBA versions of Charlotte's Web. 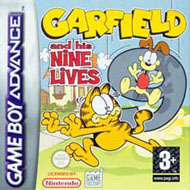 2006 - Junglevision programs the Nintendo GBA version of Garfiled and his Nine Lives. 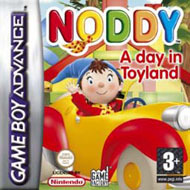 2005 - Junglevision programs the Nintendo GBA version of Noddy A day in Toyland. 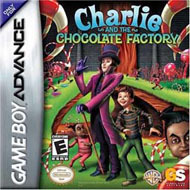 2005 - Junglevision programs the Nintendo GBA version of Charlie and the Chocolate Factory. 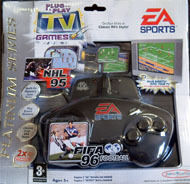 2005 - Junglevision programs the Jakks Pacific version of FIFA 96. 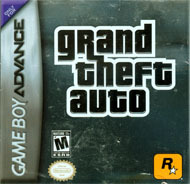 2004 - Junglevision programs the Nintendo GBA version of Grand Theft Auto. 2004 - Junglevision programs the N-Gage version of Spider-man 2. 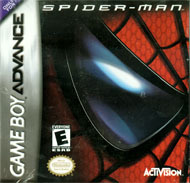 2002 - Junglevision programs the Nintendo GBA version of Spider-man. 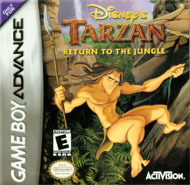 2002 - Junglevision programs the Nintendo GBA version of Tarzan, Return to the Jungle. 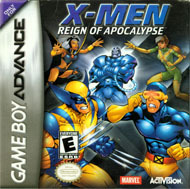 2001 - Junglevision programs the Nintendo GBA version of X-MEN, Reign of Apocalypse. 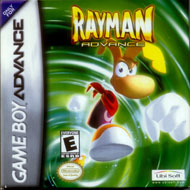 2001 - Junglevision programs the Nintendo GBA version of Rayman Advance. 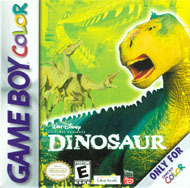 2000 - Junglevision programs the Nintendo GBC version of Dinosaur. 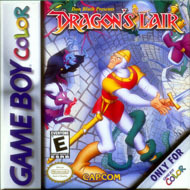 2000 - Junglevision programs the Nintendo GBC version of Dragon's Lair. 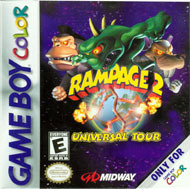 1999 - Junglevision programs the Nintendo GBC version of Rampage 2, Universal Tour. 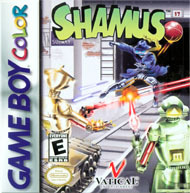 1999 - Junglevision develops a new version of the original 1983 Shamus for Nintendo GBC. 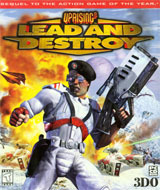 1998 - Junglevision programs the Online / Multiplayer code for the PC version of Uprising II, Lead And Destroy. 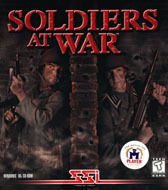 1998 - Junglevision does the online programming conversion of the PC version of Soldiers At War. 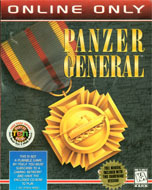 1998 - Junglevision does the online programming conversion of the PC version of Panzer General Online. 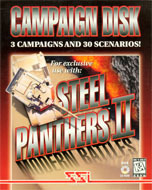 1998 - Junglevision programs the PC version of Steel Panthers II, Campaign Disk. 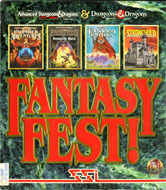 1997 - Junglevision does the online programming conversion of the PC version of Fantasy General Online. 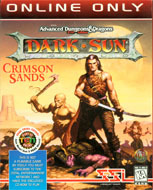 1996 - Junglevision programs the PC version of Dark Sun Online. 1996 - Junglevision does the online programming conversion of the PC version of NCAA Championship Basketball. 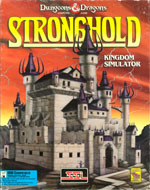 1994 - Re-release of the PC version of Stronghold. 1991 - Programmed at Stormfront Studios the PC version of Gateway to the Save Frontier. 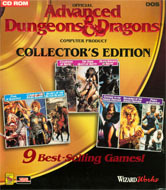 1991 - Programmed at Stormfront Studios the PC Online version of Neverwinter Nights for America Online. Junglevision did two upgrades for AOL in 1993 & 1994. 1989 - Junglevision programs the Commodore 64 version of curse of Babylon. 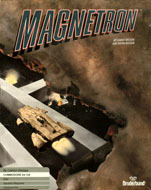 1987 - Junglevision programs the Commodore 64 version Magnetron 1986 - Junglevision programs the PC, Apple II, & Commodore 64 versions of Breakers. 1985 - Junglevision programs the PC, Apple II, & Commodore 64 versions of Brimstone. 1985 - Junglevision programs the PC, Apple II, & Commodore 64 versions of Essex. 1984 - Junglevision programs the PC, Apple II, & Commodore 64 versions of Mindwheel. 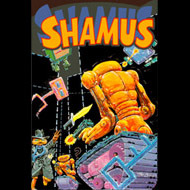 1984 - Junglevision develops the Atari 800 & Commordore 64 versions of Shamus Case II.